After leaving Hertford College, Oxford with a degree in PPE, Mike joined the Unilever graduate scheme in 1972. He then joined Coca-Cola UK in 1980 as Marketing Director, where he launched Diet Coke into the UK market. In 1984 he moved to Guinness as Worldwide Brands Director, then CMO. Following a five-year stint as CEO of Guinness’ North American business, he returned to the UK in 1992 to become MD of Guinness Great Britain. In 1998 he became CEO of HP Bulmer Holdings plc until its sale in 2003. Mike then moved into the new technology area, where he was responsible for the development and sale of a number of ventures. 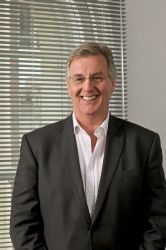 In 2007, Mike assumed the role of Director General of ISBA, the representative body of UK advertisers. He was also appointed to the Executive Committee of the Brussels-based World Federation of Advertisers (WFA), where he became an Officer and Treasurer. In 2017 he stepped down from these roles and is now pursuing a non-exec and advisory career, including membership of the Academy’s advisory board. Married with three children, his main interests are golf, rugby, opera and theatre. Mike has been a keen supporter and mentor to the Marketing Academy Scholarship programme since launch, and confirmed ISBA as the founding sponsor of the Fellowship, of which he remains an active mentor. He says that, while happy to share the highpoints of his career through to PLC board level, he’s found that sharing the learnings from mistakes and ‘watchouts’ along the way is often even more helpful….